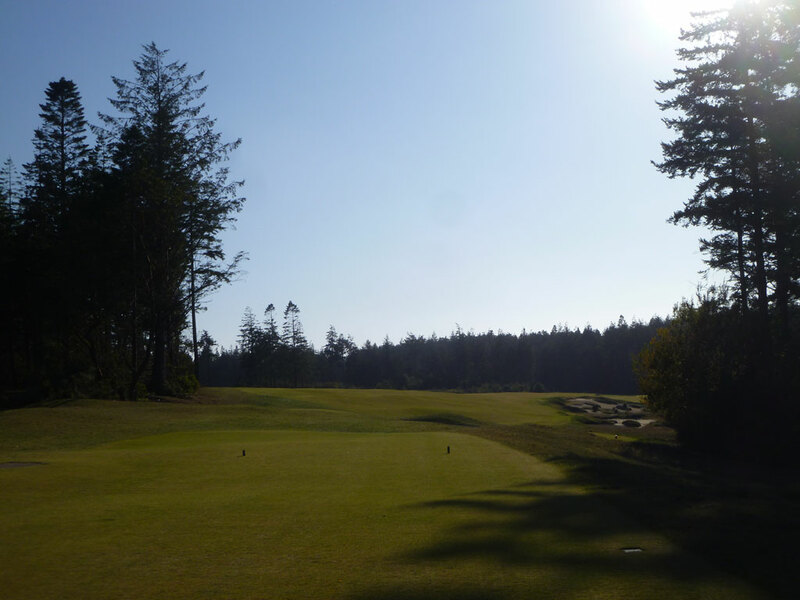 Course Website: Official Website - Visit Bandon Trails's official website by clicking on the link provided. 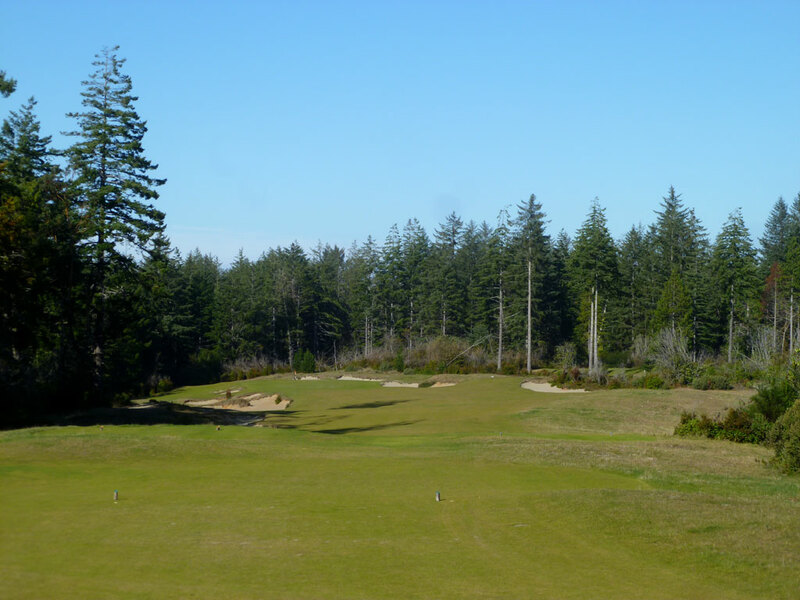 Accolades: Ranked 3rd in Oregon on Golf Course Gurus' Best in State list. 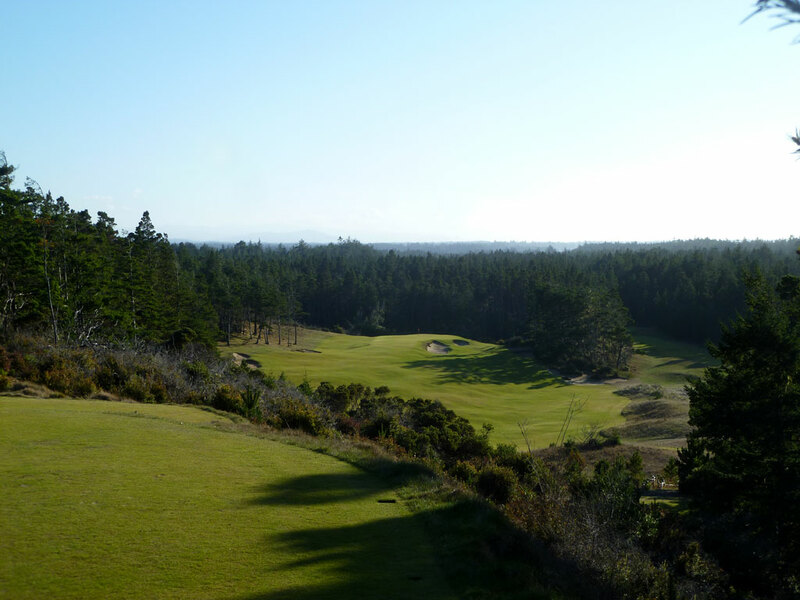 What to Expect: The third course at Bandon Dunes Resort leaves the coastal links setting and embraces its Pacific Northwest location by taking a trip through the pine trees and undulated terrain that the area is so well known for. 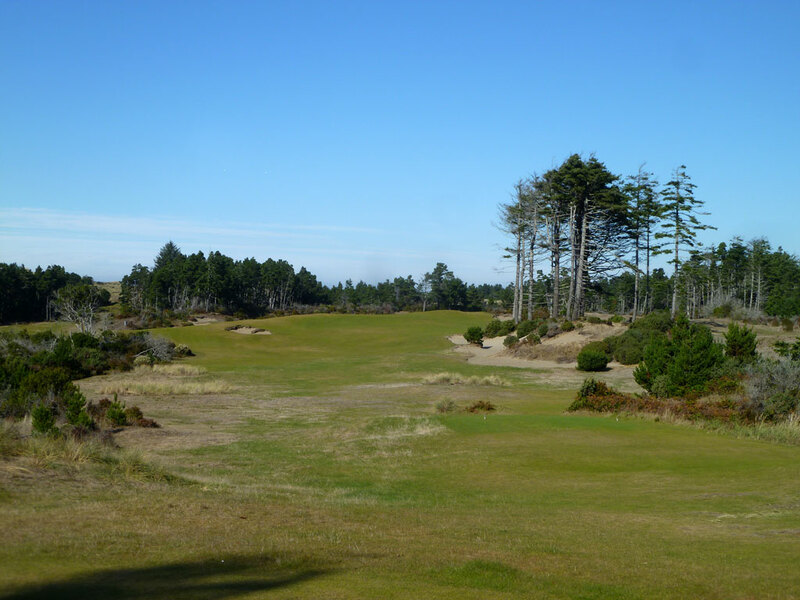 The course doesn't look like any of the other courses at Bandon, but the playing conditions are similar with the firm, fast fairways and greens. 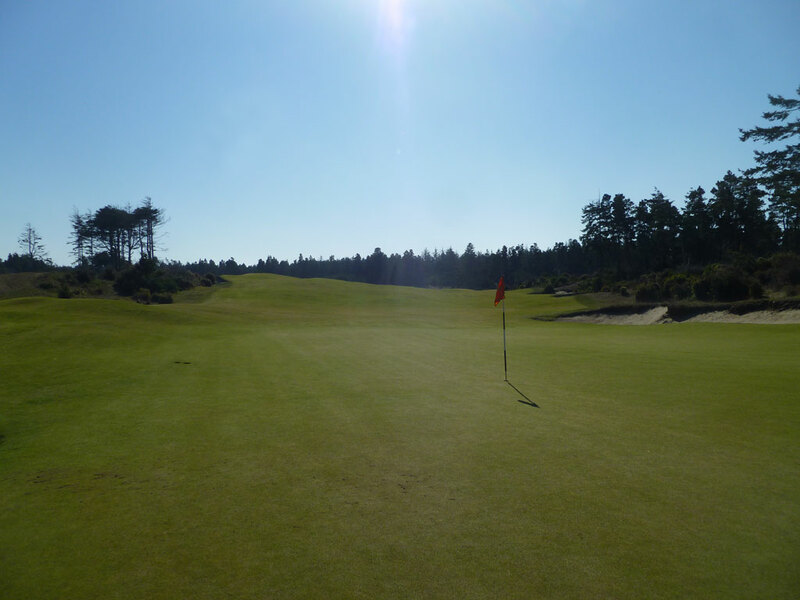 The undulated greens are a trademark for Coore/Crenshaw courses and the firmness of these greens are the course's biggest defense which at times can be deemed unreceptive. The opening hole still offers a links feel with ocean vistas, but the tee shot to the long par three 2nd hole delves the player into the woods and onto a new adventure. The driving corridors are the tightest on the resort and one large water hazard exits to the right of the green on the long par four 11th. 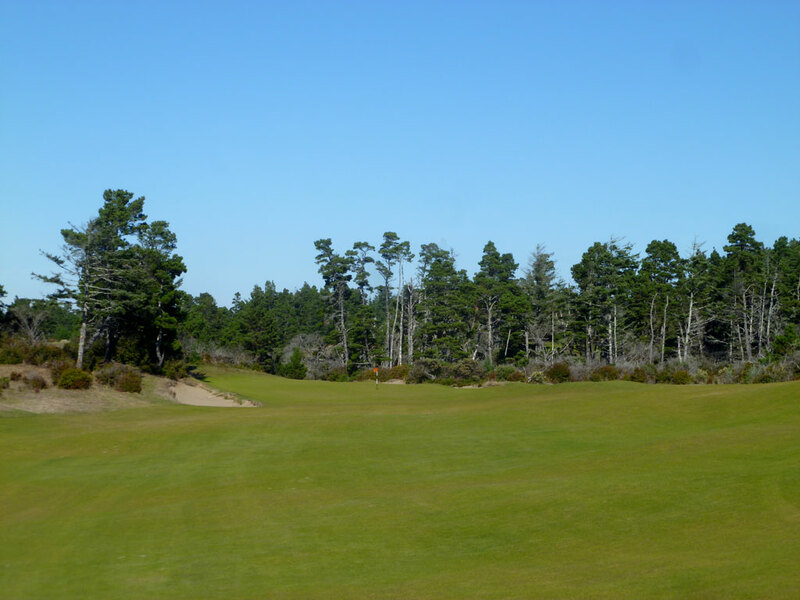 Trails is the most difficult course to walk at Bandon and players are offered a quick uphill ride when travelling from the 13th green to the 14th tee; a welcome relief given the hilly terrain and firm conditions. Bunkers are peppered throughout the course and seem to be a bigger challenge off the tee than around the green. There are a couple of driveable par fours, a classic C&C short par three, and the resort's best collection of par fives. 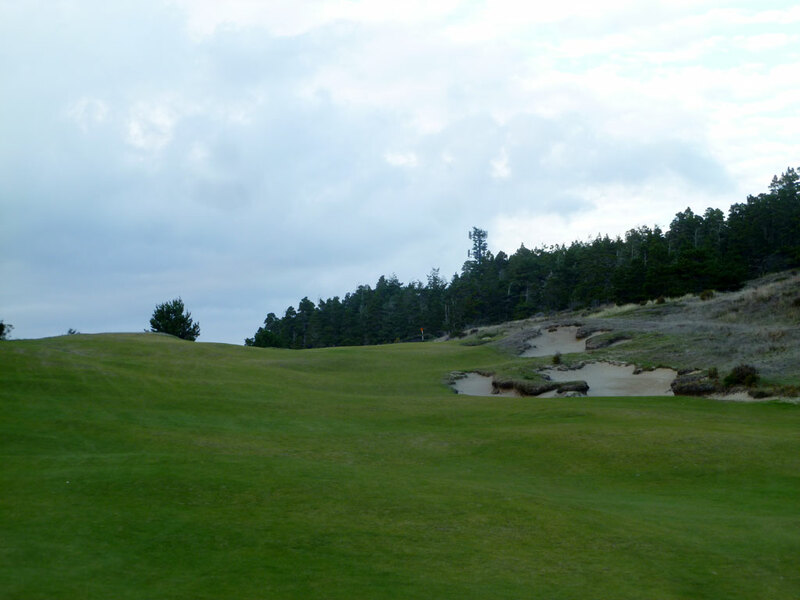 Overall the course is a treat to play and a different experience than any of the other courses found at Bandon. Coore/Crenshaw fans who enjoy undulated fairways and greens won't be disappointed with the offering while many of the locals identify it as their favorite track at the resort. 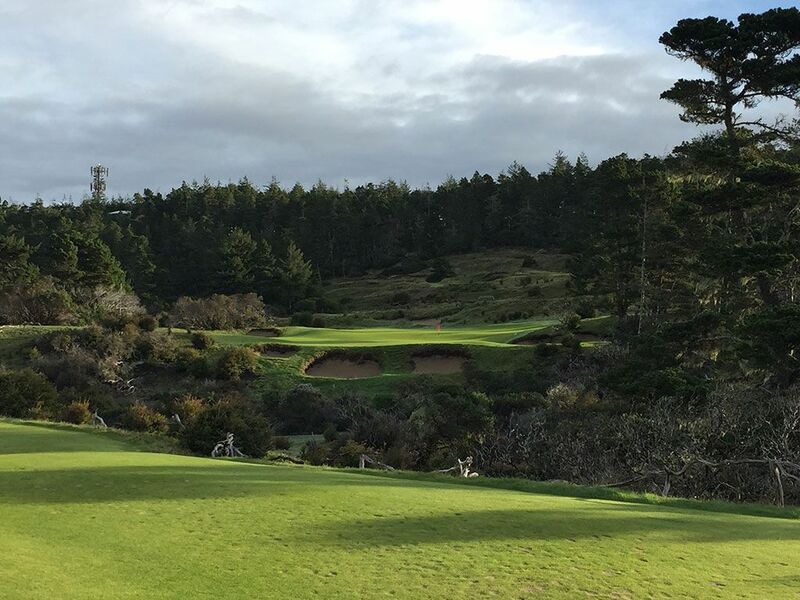 Signature Hole: 14th Hole – 325 Yard Par 4 – The downhill driveable par four 14th is one of the most exciting and demanding tee shots you will hit at Bandon Trails. Tee shots straight at the green or slightly right will hit the fairway and carom towards the trees and waste area right of the hole. A drive up the left side can utilize the firm and fast conditions as well as the natural terrain to work its way to the putting surface. The elevated green that is long, narrow, and domed make approach shots from the right side extremely difficult to hold while tee shots heading for the green are often deflected to chipping areas off the putting surface. The ideal angle is from the left side, but good luck keeping a ball up there. While this hole had the potential of being one of the finest at the resort, it has ended up being the most controversial. Best Par 3: 5th Hole – 133 Yards – One of the largest greens on the course is on display on the 5th hole that hosts a plethora of pin options. A trio of bunkers fronts the green while trees frame the side. The undulated putting surface is sure to create numerous three-putts for patrons that aren’t able to properly judge the rolling terrain. 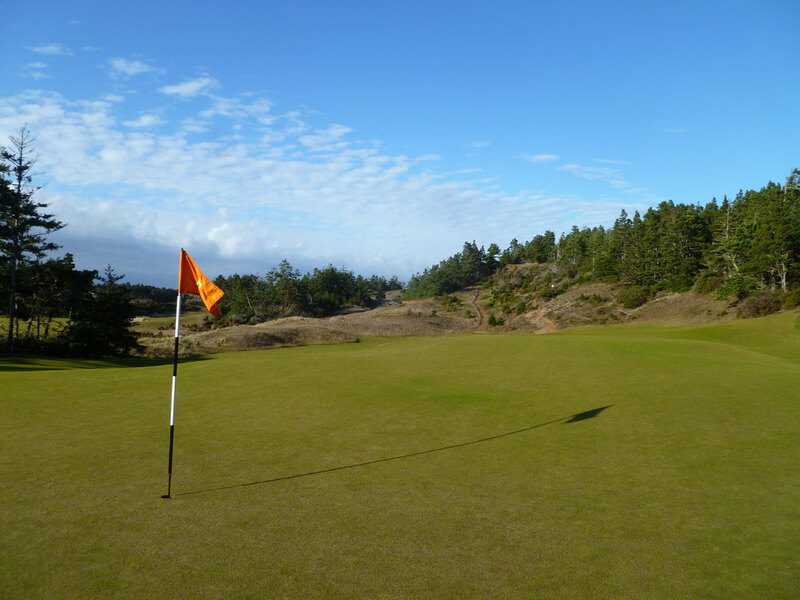 Since length and green size provide little defense to hitting this green in regulation, Coore and Crenshaw decided to put your flat stick to the test early at Bandon Trails. Best Par 4: 4th Hole – 408 Yards – The hogsback 4th hole presents an interesting risk/reward opportunity for players off the tee. Challenge the right side protected by trees and bunkers and you can catch the inside of the fairway slope and leave yourself a wedge into the green. 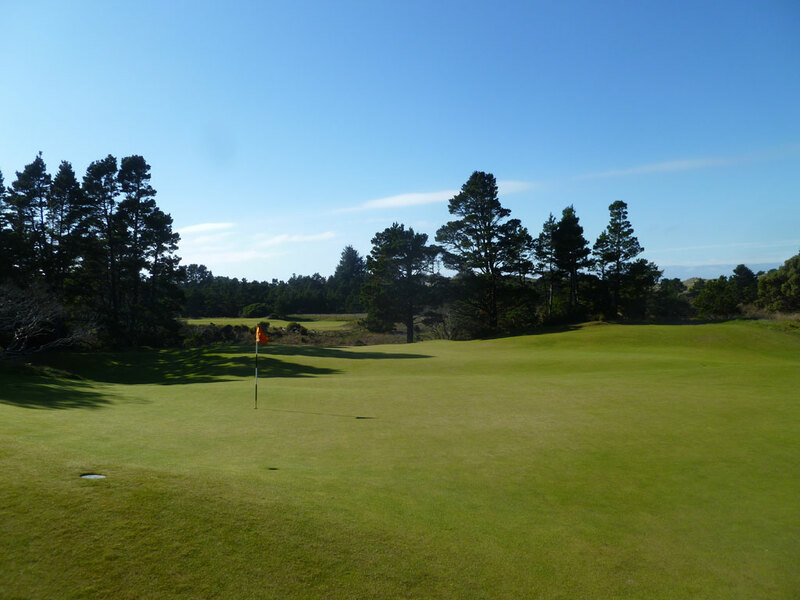 Play it to safe to the left and you may catch the backside of the hogsback fairway and end up chasing your tee shot into trouble; in particular the large bunker complex that runs along the entire backside of the fairway that is blocked from view off the tee. The domed fairway and various bunkers set players up to enjoy playing various strategies each time they face this hole. Best Par 5: 16th Hole – 530 Yards – The slithering uphill 16th hole is a favorite among visitors to Trails and with good reason. 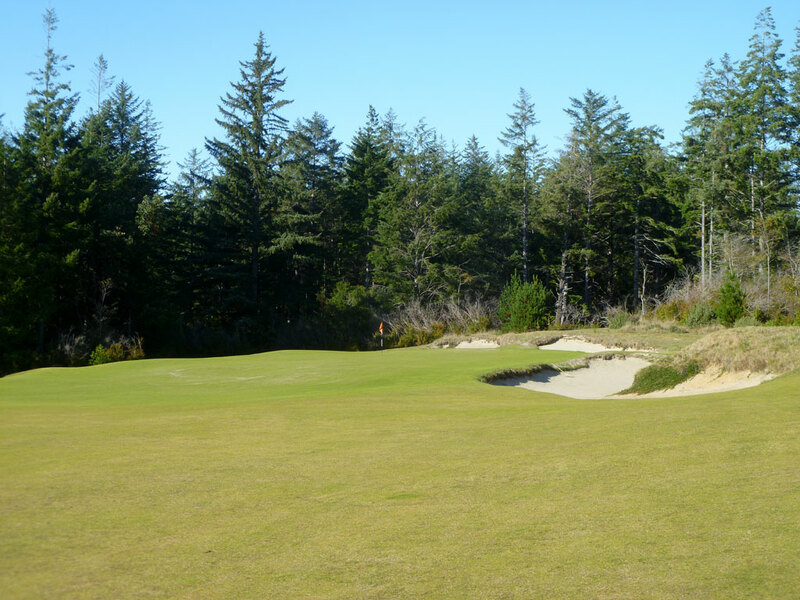 Visually the hole is attractive with dunes encroaching in from the right side and trees framing the left. With the amount of roll that is common to get at Trails a good tee shot can give you a chance to reach the green in two while shorter hitters will need to plot their way up the hole while avoiding the various bunker complexes found along the way. 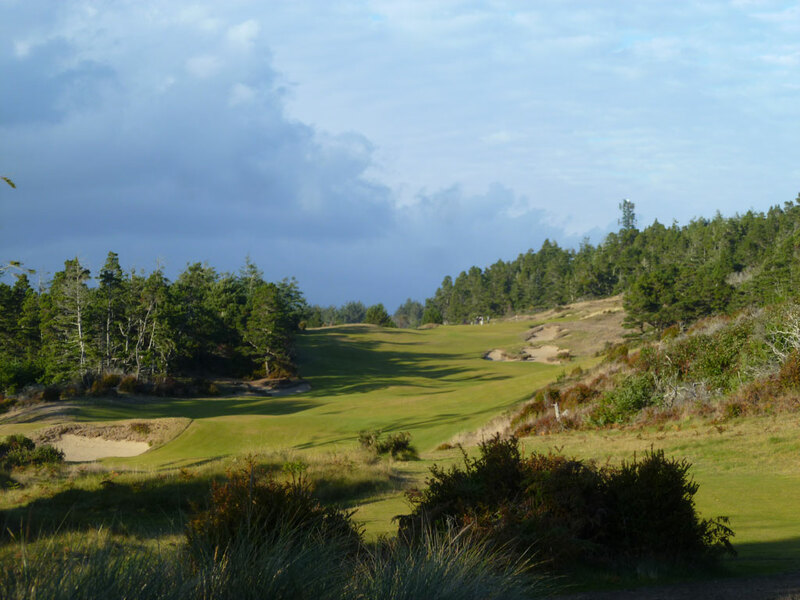 This hole begins a dramatic three hole finishing stretch at Bandon’s third course. Birdie Time: 8th Hole – 321 Yard Par 4 – Much easier to score on than the driveable 14th hole found on the back, the inviting 8th hole plays gradually downhill from tee to green. Bunkers line both sides of the hole just beyond the halfway point as the fairway turns slightly left leading into the green. Balls with enough length will find a more inviting entrance to the putting surface that the 14th hole and a tamer green to contend with. 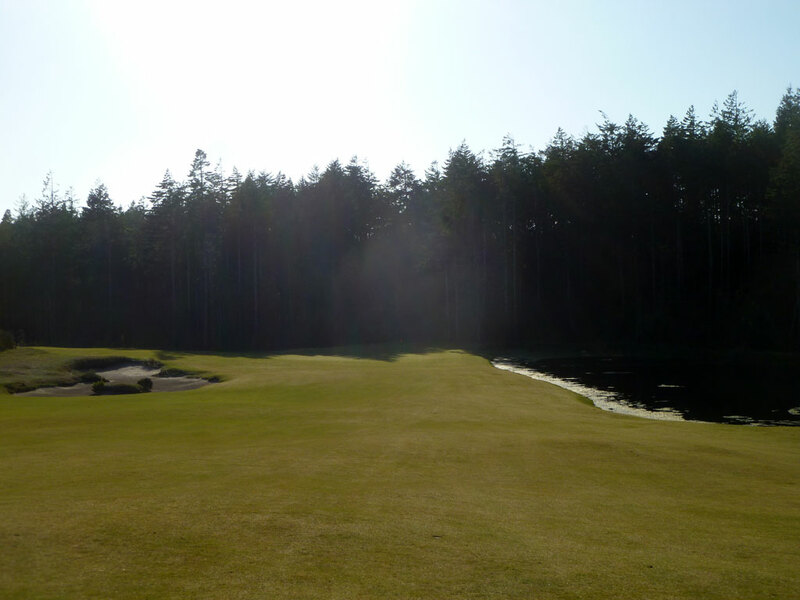 As such, the 8th is a birdie opportunity you won't want to let slip by. 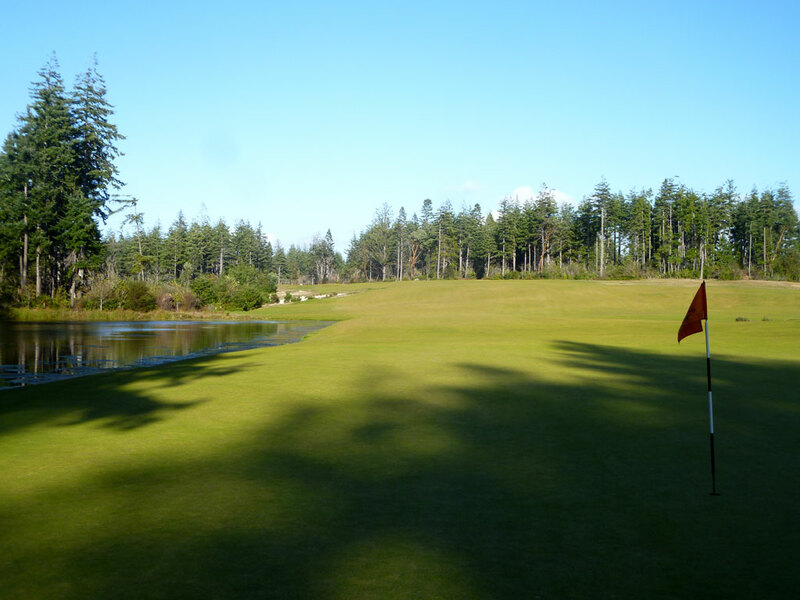 Bogey Beware: 11th Hole – 445 Yard Par 4 – Bandon Trails' lone water hazard (other than the ocean WAY right of No. 1) is found on the lengthy par four 11th. Playing 445 yards from the back tee, players hit their tee shot from the woods to an open area that slopes downhill and to the right. The terrain will kick balls towards the water, so improperly judging the contours of the fairway and around the green will result in a watery grave while those that accurately utilize the ground will see opportunities to chase their approach shot on the ground to the green. The lengthy approach shot and sloping terrain combine to create a challenging hole where par generally wins the hole.